Bob Janes came to Trysting Tree Golf Club from Arizona where he was the Head Golf Professional at TPC Star Pass. He also was a Teaching Professional for Exceller Golf Schools at The Pointe Hilton at Tapatio Cliffs in Phoenix, Arizona. 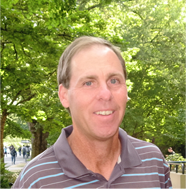 Prior to this, Bob played collegiate golf for the University of Idaho and is a native of East Wenatchee, Washington. His high school team (Eastmont) won 3 consecutive state championships. Bob has been at Trysting Tree since the summer of 1993 as the Head Teaching Professional and has over 20 years of teaching experience.